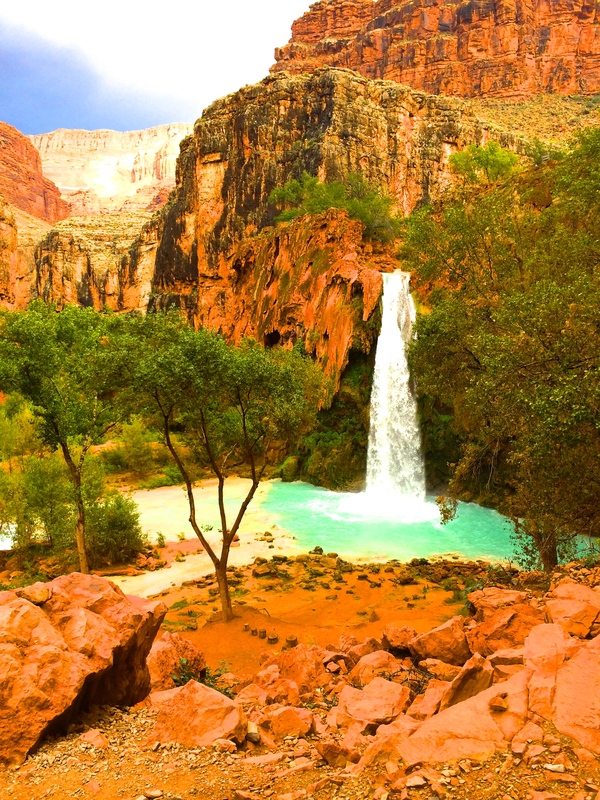 Havasu Falls is located 1.5 miles from the village of Supai in the Grand Canyon. There is a 100-foot waterfall that drops into a striking blue-green pool. The high calcium carbonate concentration is what creates the vivid color of the water. This is the only place in America where mail is still carried out by mules because the nearest road is 8 miles away from Supai Village. The Havasupai Tribe administers the region – this area lies outside the boundary and jurisdiction of Grand Canyon National Park. If you show up without a reservation or pass, you may have to leave. Havasu means “blue-green water” and pai means “people”. Approximate driving time to Supai Village from Grand Canyon Village (South Rim) is 4 hours. Supai village, located within Havasu Canyon, is not accessible by road. The falls can only be reached by hiking, mule, or helicopter. 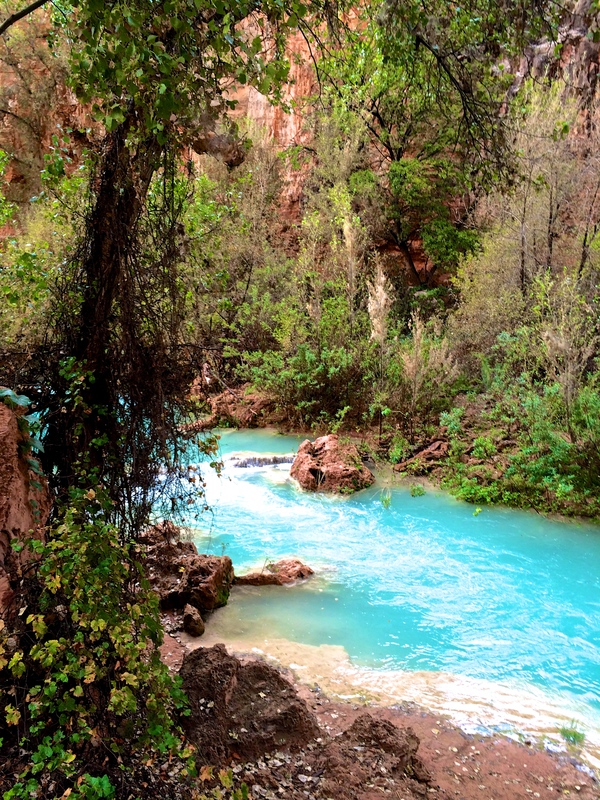 The hike to Havasu Falls is a moderate difficulty hike, and most people will camp 1 or 2 nights during their visit. The easiest way to hike to the falls is to schedule with a tour company, so that they can arrange the permits needed, supplies, and a guide. This is by far one of the most spectacular destinations in the Grand Canyon, and bucket list item for avid travelers.